The 2016 Port Performance report used multiple sources, including public datasets featured on Data.Gov. One foundational dataset used in the report is the total commercial tonnage carried on waterways published by the U.S. Army Corps of Engineers – Waterborne Commerce Statistics Center. Link to dataset: https://catalog.data.gov/dataset/total-tonnage-foreign-and-domestic-of-commodites-carried-on-commercial-waterways . 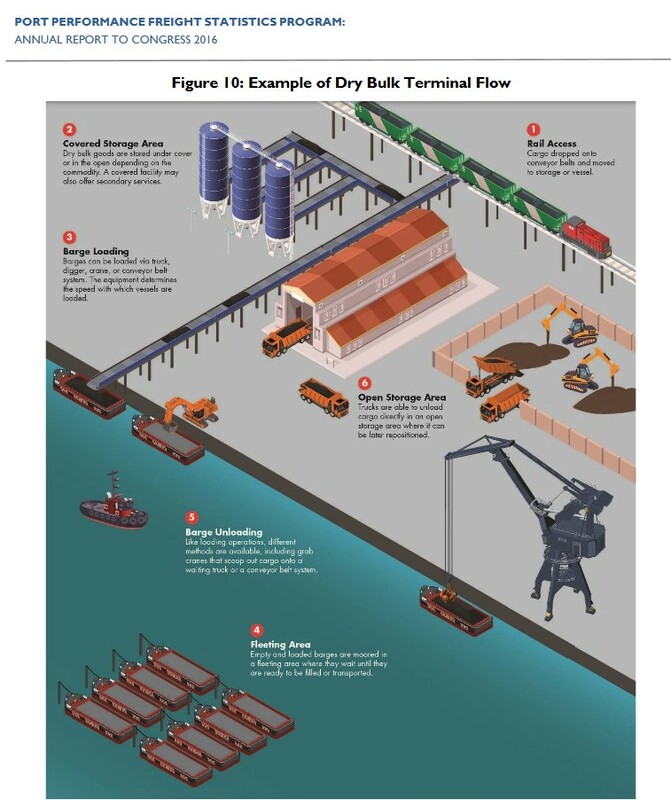 Typical infrastructure and cargo flow at a port terminal handling dry bulk cargo, such as coal.